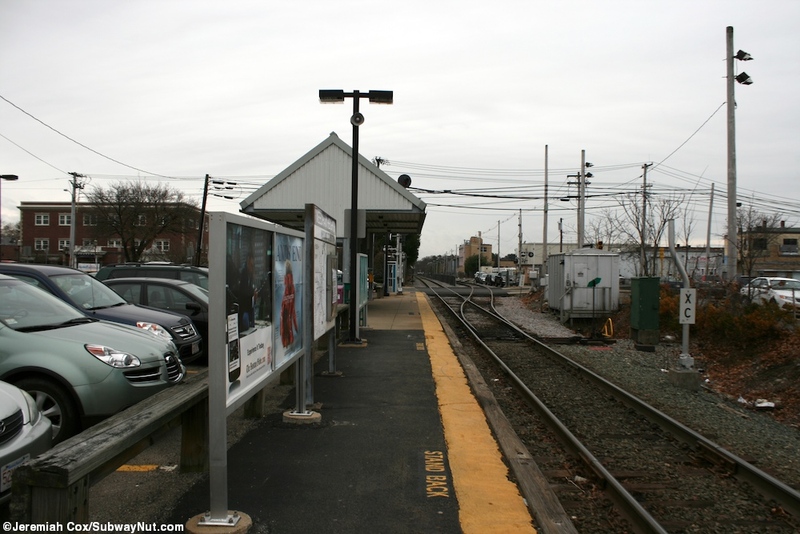 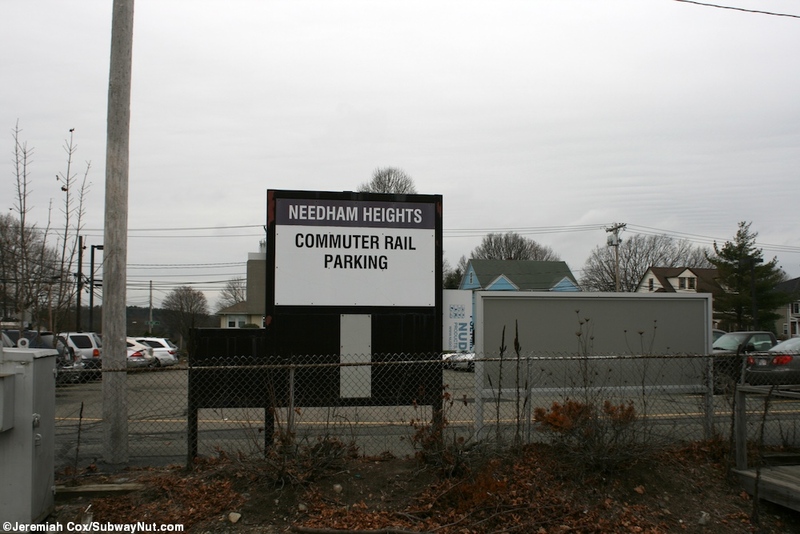 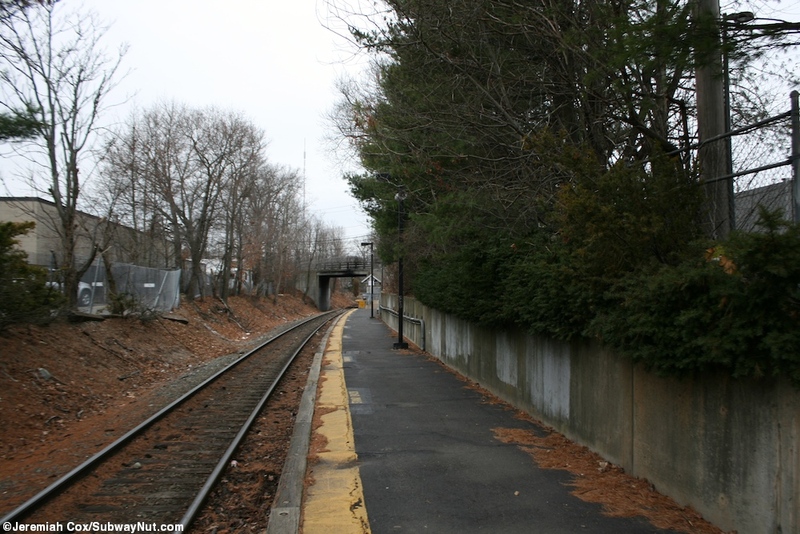 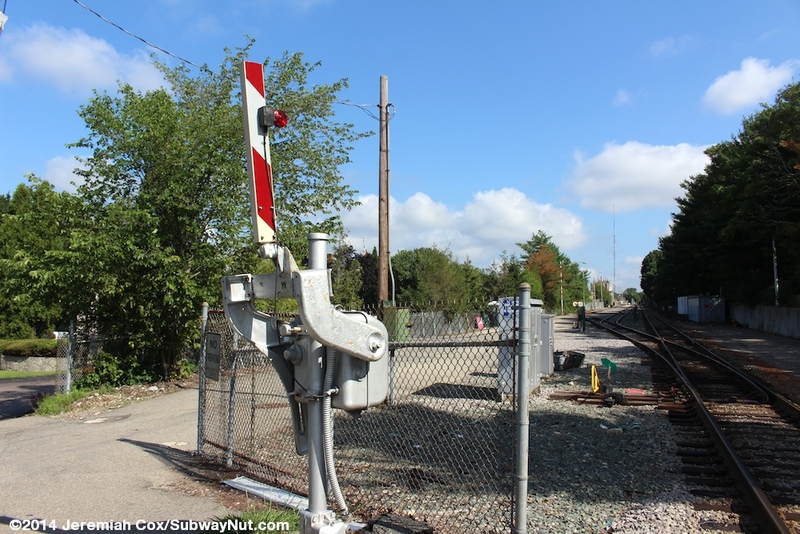 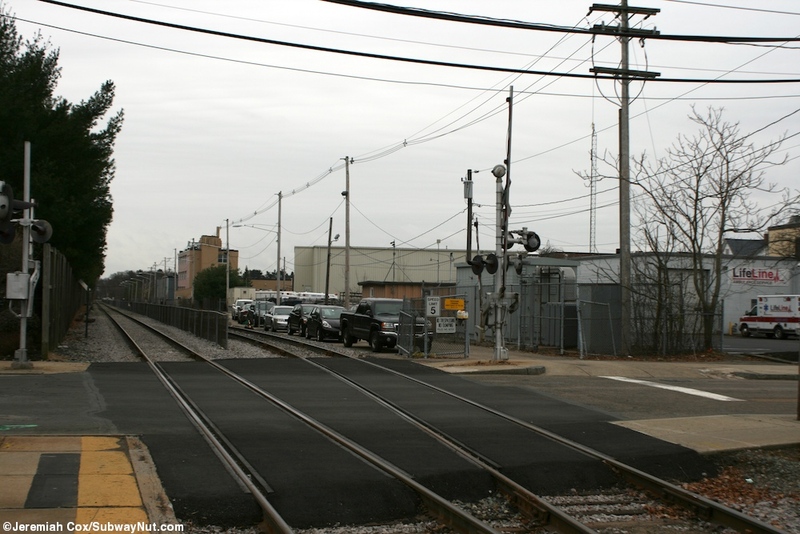 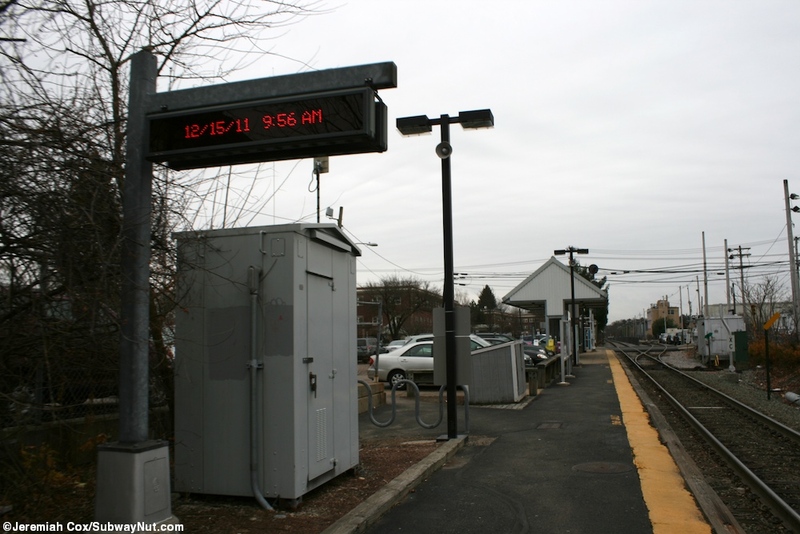 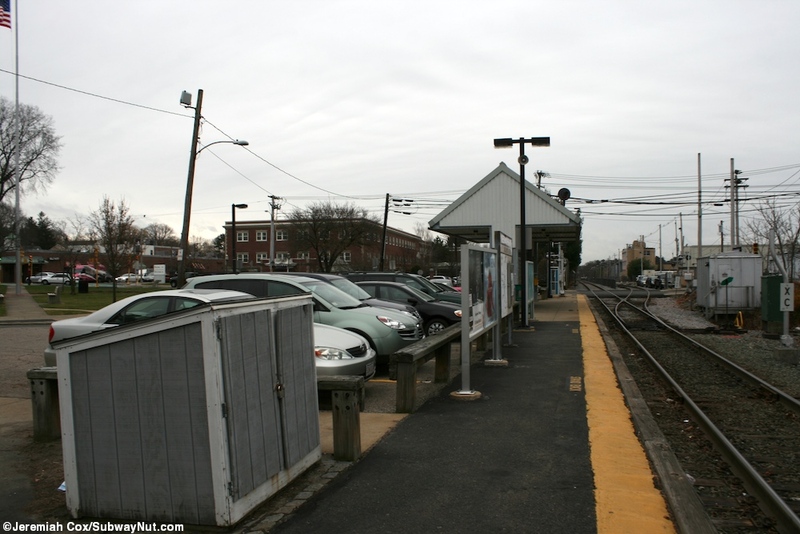 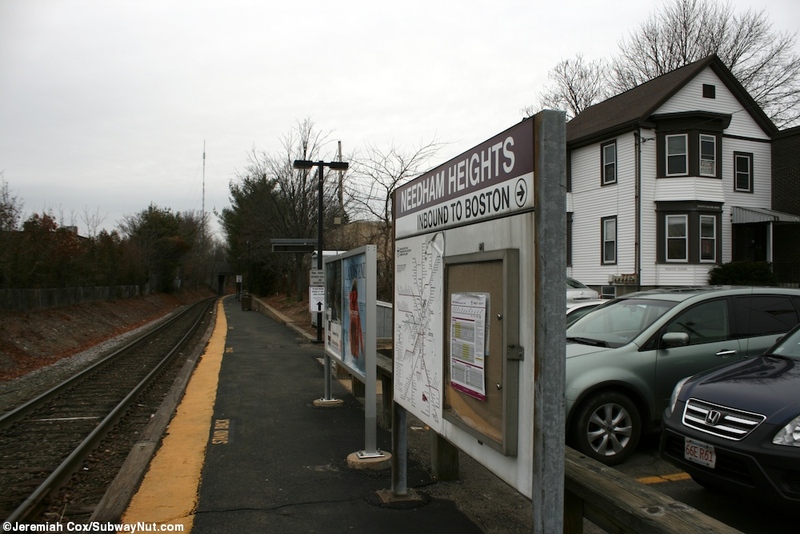 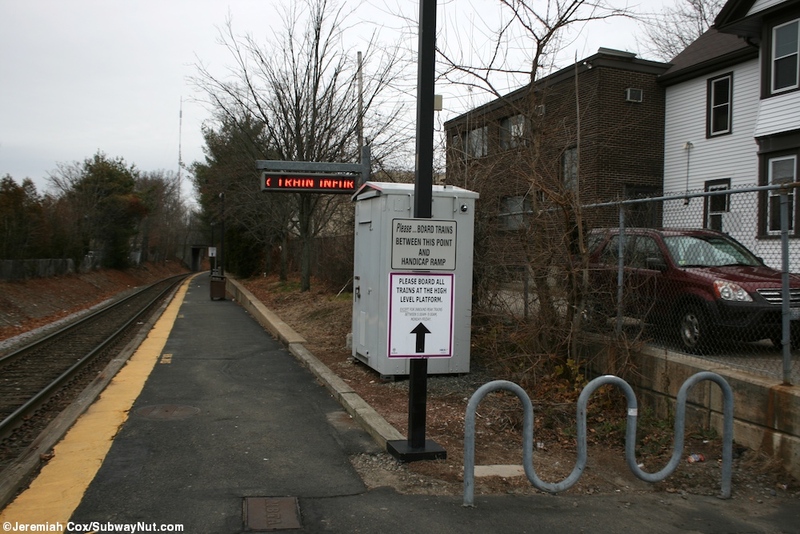 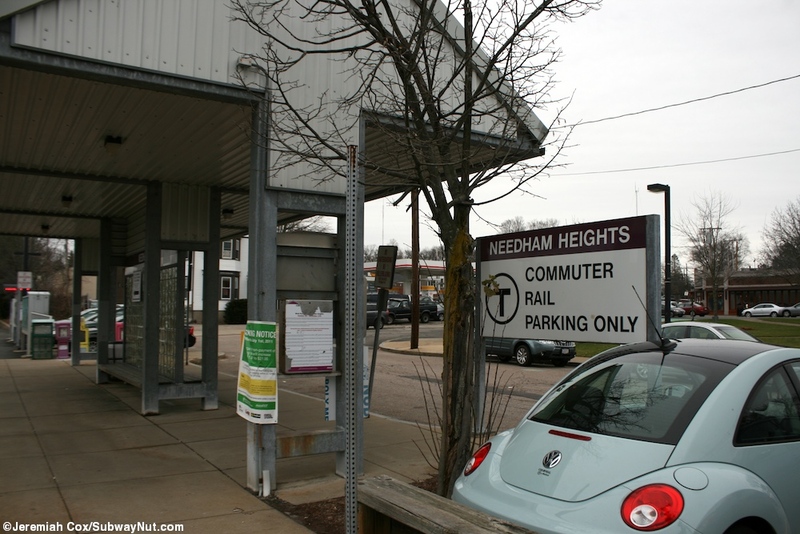 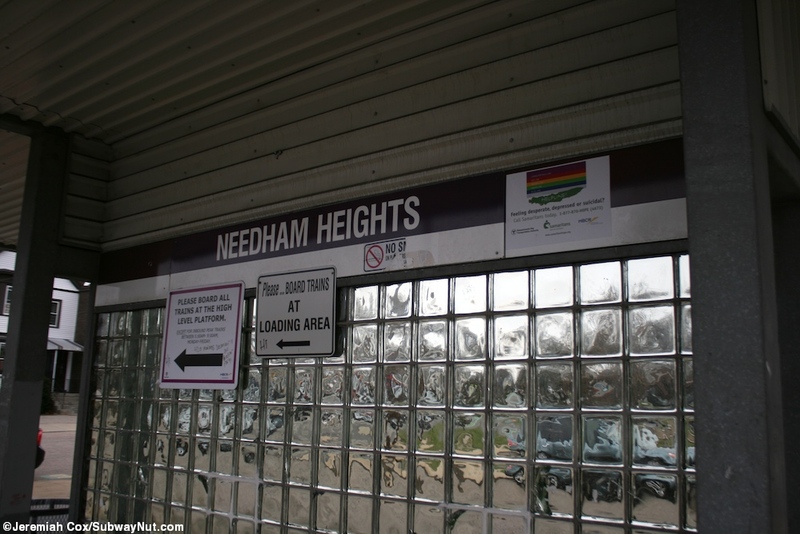 Needham Heights is the single-tracked single platform terminus of the Needham Line. 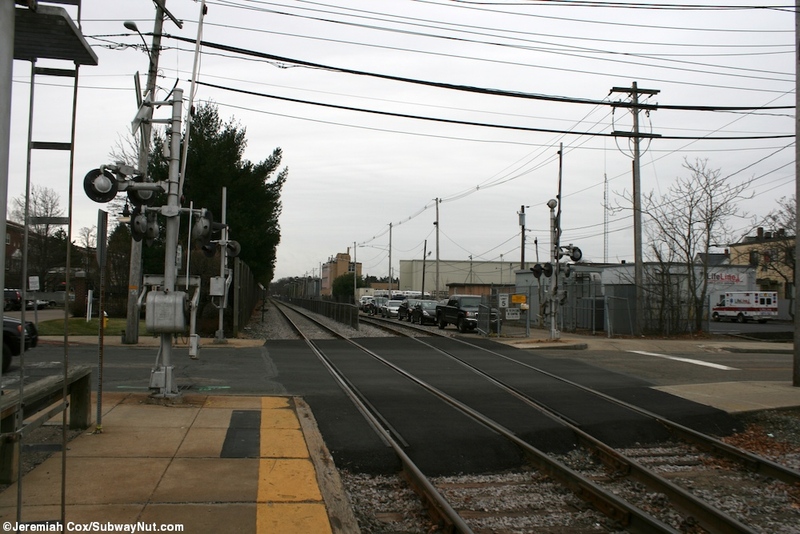 Just south of the station there is a second stub track that becomes a third yard track of a small storage yard. 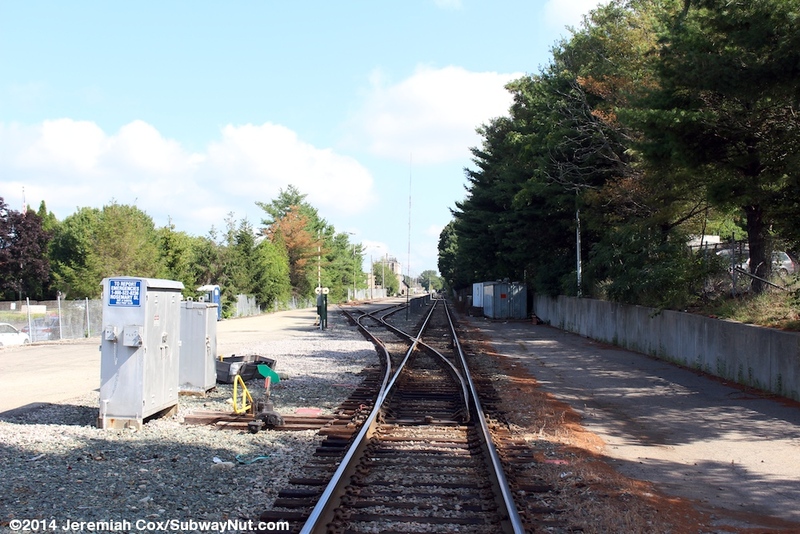 North of the station the track continues north of the station a bit passing the historic Newton Falls depot before reaching petering out near Newton Highlands. 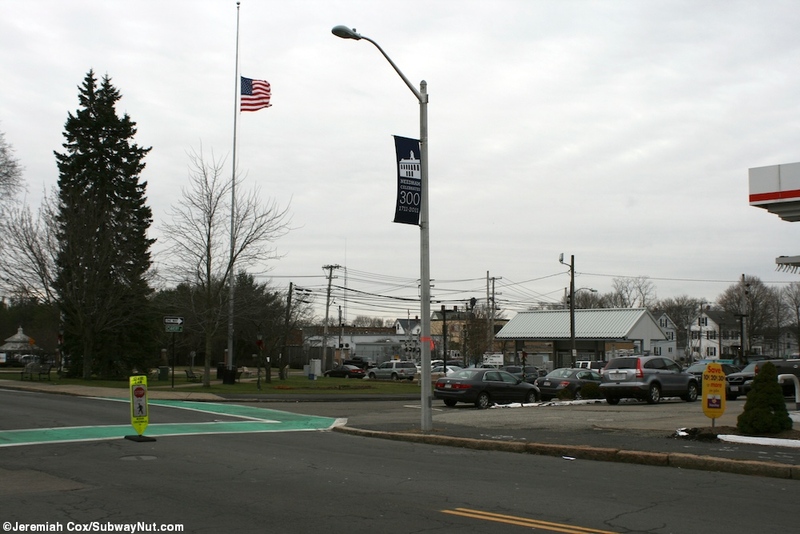 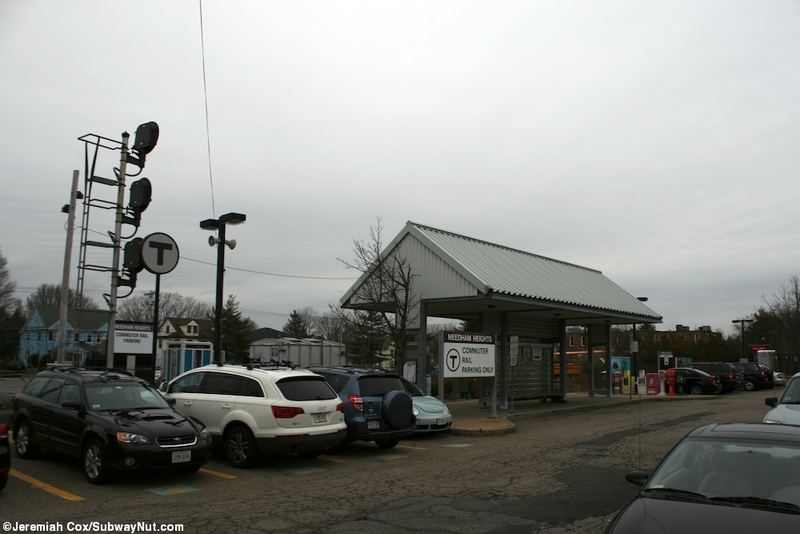 The platform begins at the grade crossing with West Street and there is a small 83 space parking lot with a decent sized modern canopy, Heights Common is beyond. 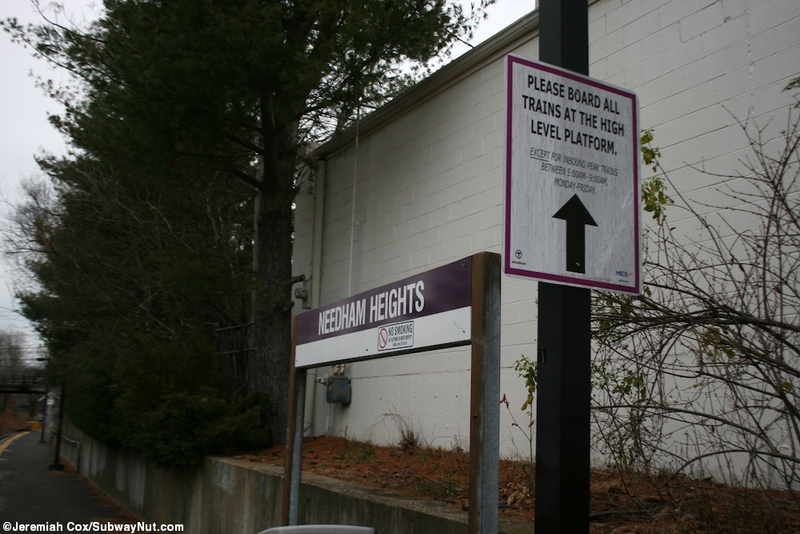 The platform continues a long way with no other access points before ending with the ADA required mini-high platform.